A haven for every enthusiastic gastronome, Foodhall has — since its inception in 2011 — brought to its patrons an extensive range of offerings, including exotic foods, daily essentials, premium fresh and packaged foods from around the world and more. Located on the top floor of Palladium, this destination just took a large step up with the revamp of Café by Foodhall. The perfect stop for a mid-day snack, lunch with friends or even just to refuel while you continue to shop till you drop, this all-day eatery is where you will find yourself spoilt for choice. Here, a selection of signature salads — Caesar, Mexican Taco, Greek, Thai Papaya and Nicoise; sandwiches and wraps — spinach and mushroom panini, TBM croissantwich, Southwestern chicken; nourishing meals in bowls; pasta with delicious garlic bread; a mouth-watering array of desserts; and many more offerings await you! And a special menu — waffles, pancakes, penne in pink sauce, street-style noodles and tomato and cheese pizza — has been curated for the little ones too. The perfect one-stop shop for the urban gourmand, Foodhall is where you can find your favourite foods from countries spanning the globe. And for those who would like to eat something fresh out of the kitchen, a premium range of handcrafted goodies are also available. 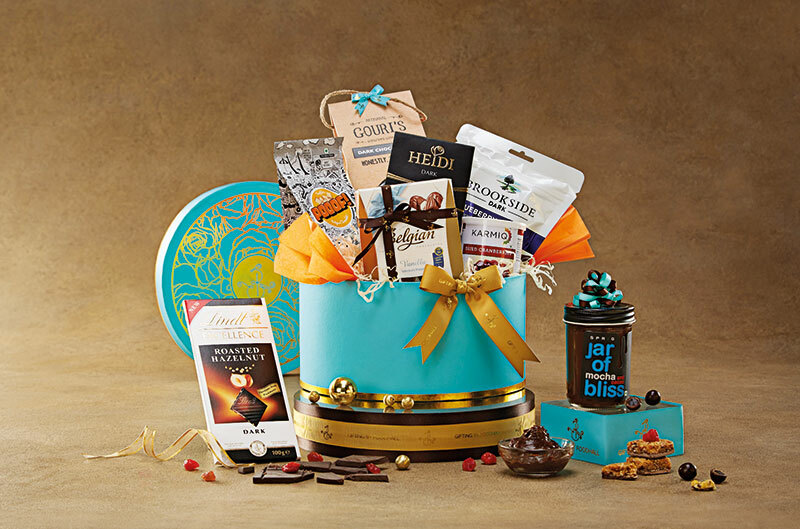 Indulge in flavoured butters, moist cakes, cookies, biscottis, Middle Eastern sweets, exotic jams, flavoured nuts, granola bars and any of the other delicacies that pique your fancy. Also at your disposal are delicious takeaways from The House of Tea by Foodhall, Xocolatl 57, Arqa — Journey of Spices, Blue Ribbon — Gifting by Foodhall, Foodhall Specials, Traditions by Foodhall and Party Chef. Foodhall is one of the few, if not only, superstores in the city where you will find a plethora of speciality brands, luxury offerings and a cafe which serves a delectable selection of all-day dining options. Part of their vision is to provide a brighter customer experience with an assortment of the finest local and international foods and the highest level of service, and their purpose — to spread the joy of food. Godrej Nature’s Basket started in 2005 as a stand-alone store in Mumbai and has today found its feet as an omni-channel retail business. While they have a thriving online portal — website and mobile application — for ease of access, indulging yourself in some gourmet retail therapy at one of their physical stores is an experience in itself. 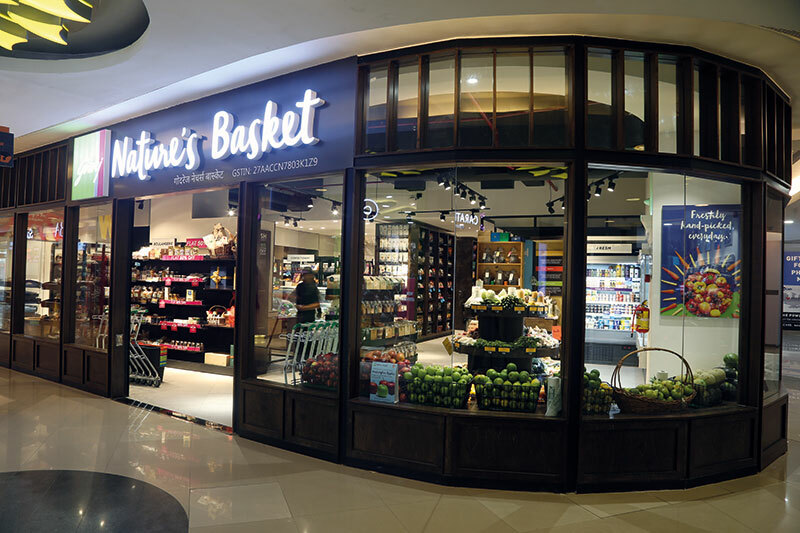 Having recently opened a store at High Street Phoenix, Godrej Nature’s Basket is definitely a go-to place for the best quality level of farm produce and bakery products in the city. 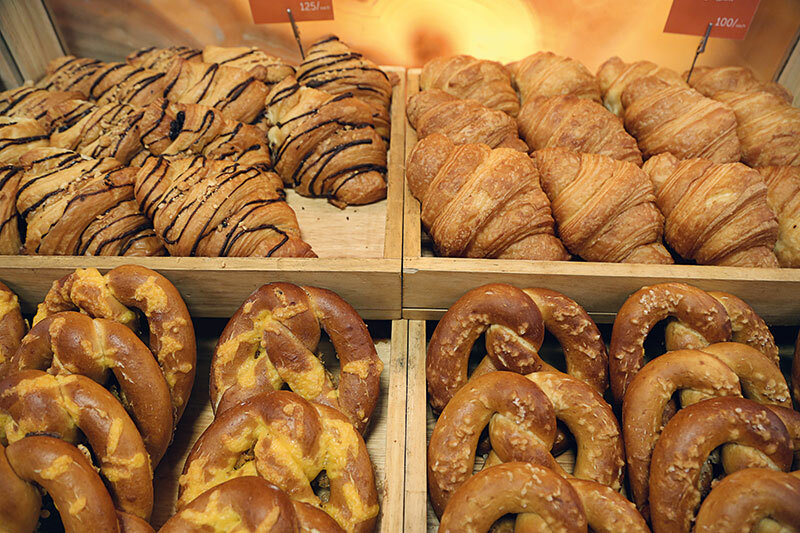 The freshest fruits and vegetables, the finest meats, an exquisite selection of cheese, irresistible bakery products and more await you at their High Street Phoenix outlet. 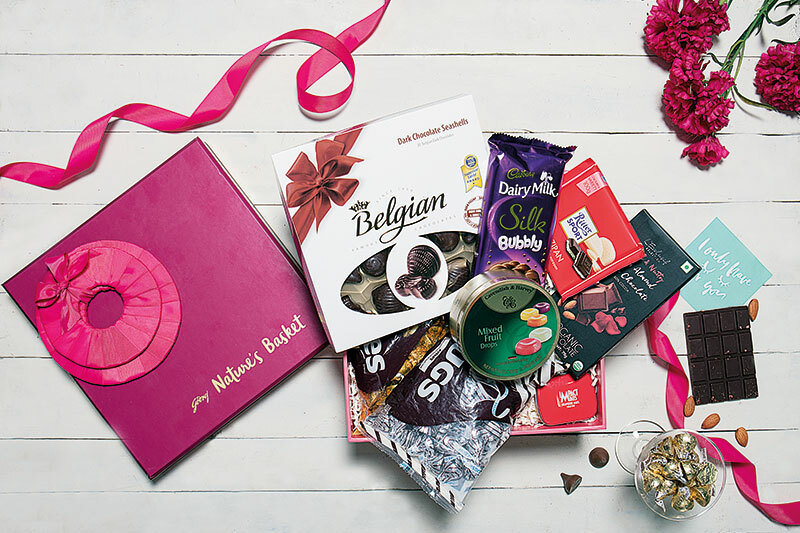 And the range of their own brands — Healthy Alternatives, L’Exclusif and Nature’s — each carry a distinct variety of offerings for those with a discerning palate. 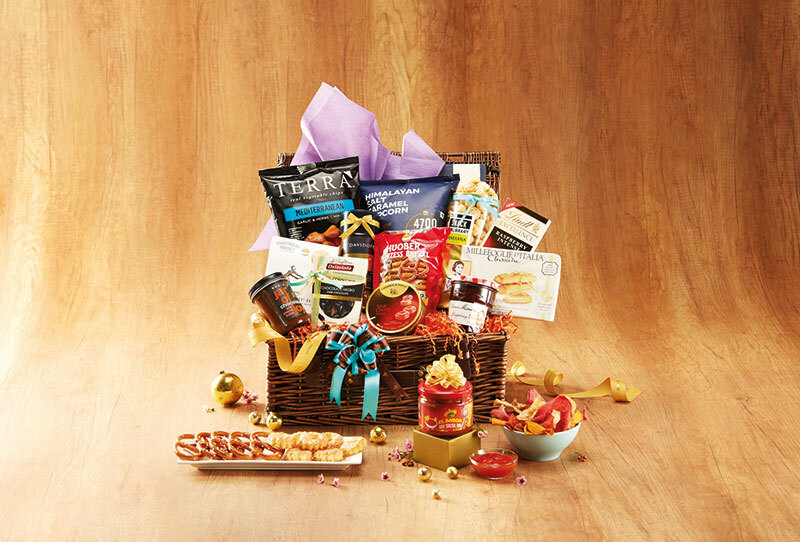 With the festive season around the corner, the gift boxes from Godrej Nature’s Basket are artfully packaged and made to suit the personalised tastes of their patrons. And keeping in mind the fitness and health conscious movement that has taken over different aspects of our lives, their offerings ensure that you indulge your taste buds while staying on top of your fitness goals! Walking into these vast expanses is a haven for anyone who fancies some retail therapy, but even the most diehard buyers need to take a break, sit down and recharge their energy levels. Imagine the joy, when on walking past Gucci, Longchamp and Jimmy Choo, a new home-grown coffee house and gift boutique catches one’s eye. A space which most would walk into in search of quintessential and carefully curated gifts, Provenance also offers some exquisite gourmet options that one can devour at their on-site cafe. The newly-minted outlet nestled in one corner of the Palladium ground floor has seating space for a little over a dozen people, and its cafe menu spans the flavours of the world. 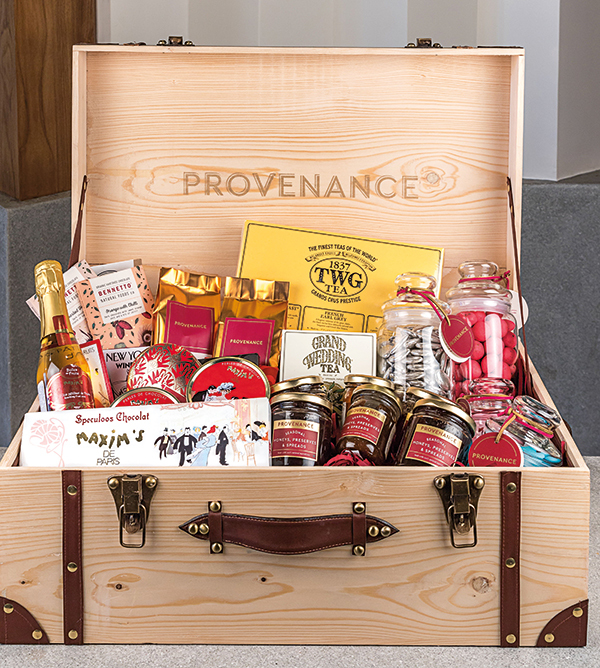 For founders Avani Raheja and Samir Gadhok of Burgundy Hospitality, Provenance is a platform where they aim to bring together tradition-rich products and foods from India and across the globe. Designed by Zameer Basrai of The Busride Design Studio, the cafe and gift shop has an inviting, contemporary ambience. With authenticity at the heart of all their offerings, the one thing that instantly stands out is the custom-made coffee machine Mirage. The only one in the country, it is hand-built in the Netherlands by Kees van der Westen, and has been brought down exclusively for the coffee house. Ask anyone who loves a good cup of java — every sip of coffee that leaves the machine is as flavourful and smooth as can be! 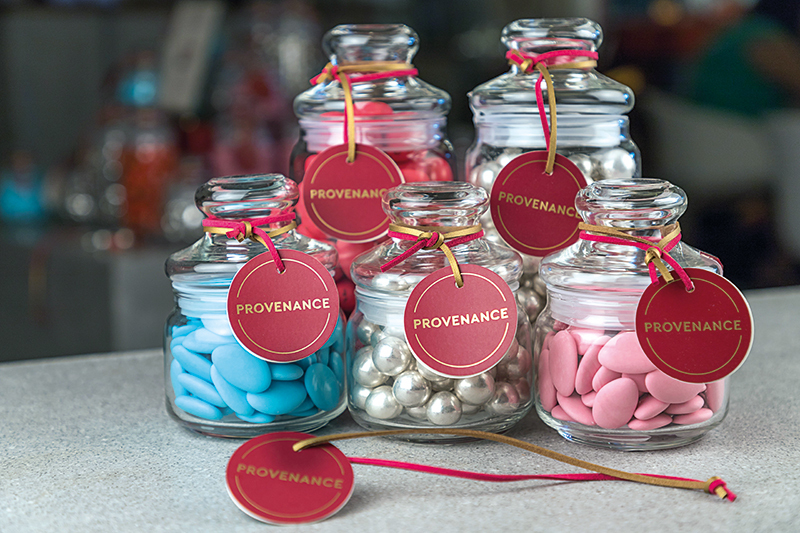 Laying emphasis on the thought that goes behind every gift, at Provenance, there are in-store stylists who are trained to personalise gifts for every occasion. The boutique also carries a selection of wrapping papers from Italy and has a customisation station where one can get personalised, embossed cards to carry exclusive messages with their presents. For those who enjoy a touch of humour, an array of greeting cards with cartoons from The New Yorker too are available. With its innovative interiors and an ambience that comprises terrazzo tiles, Mediterranean-inspired ‘cabinets of curiosities’ and brass lighting elements, Provenance is definitely a space that will find a spot on your list of favourite haunts! 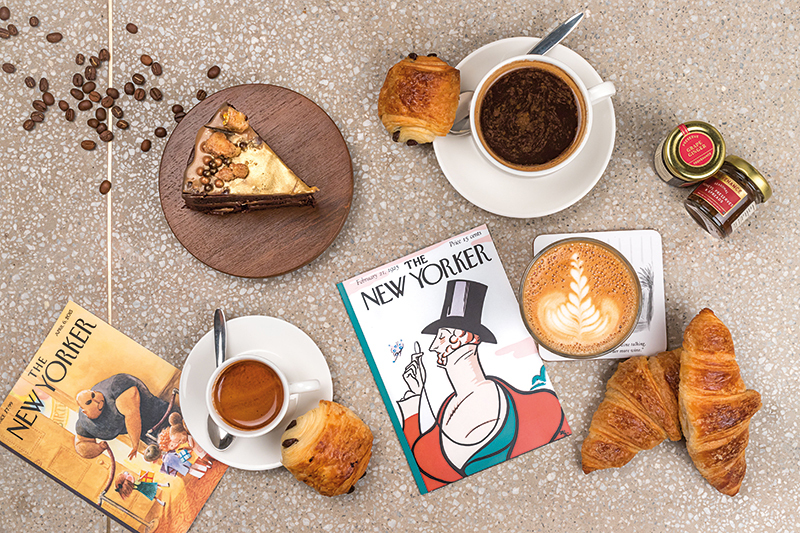 A fine selection of decadent goodies from Sustenance Artisan Food, TWG Teas, cakes from Tier Nom Patisserie, croissants and pain au chocolat from Brittany and more await you at Provenance. One of the City of Light’s most sought-after and fashionable restaurants, Maxim’s has hosted patrons including royalty, celebrities and other cultural icons. It brings to India a selection of fine gourmet offerings. 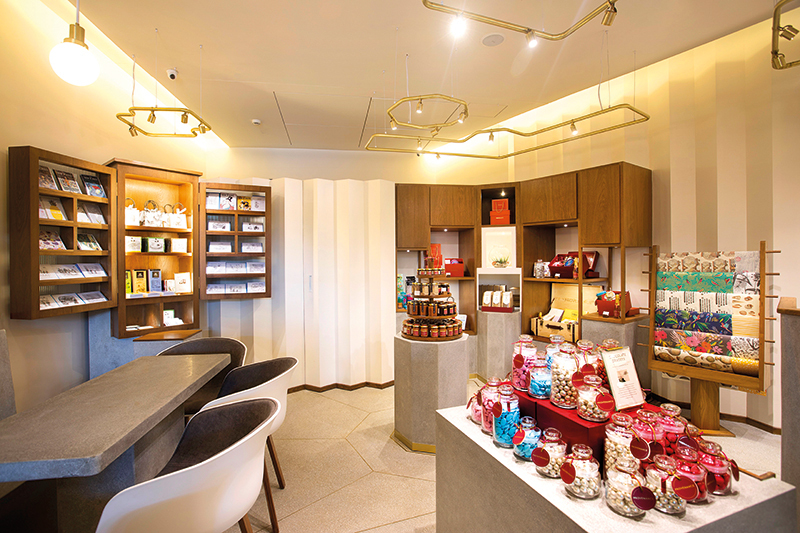 Chocolates, chocolate biscuits and jellies — treats from the brand owned by Pierre Cardin are now just a hop, skip and jump away at Provenance! 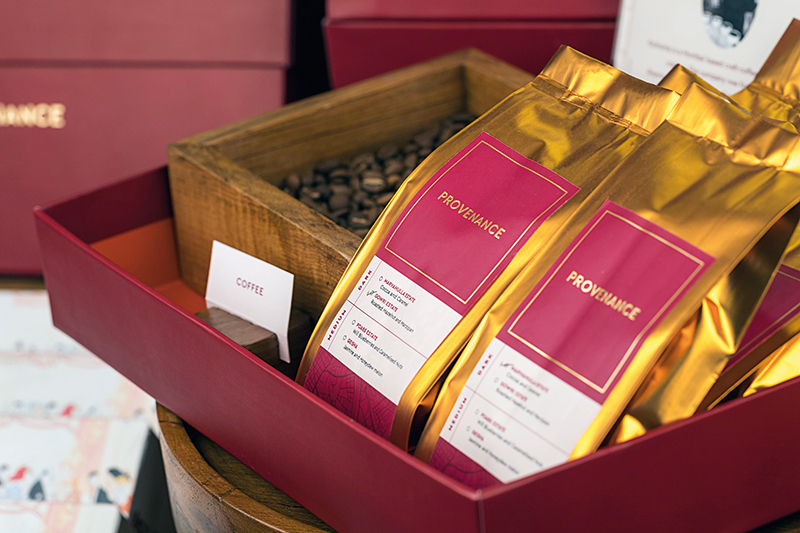 Custom blended for Provenance, the coffee from this Mumbai-based brand founded by Australian coffee connoisseur Shannon D’ Souza is roasted in an exquisite Probat roaster to generate distinctive roast profiles. These highlight and layer the inherent flavours of every hand-selected Indian coffee bean. 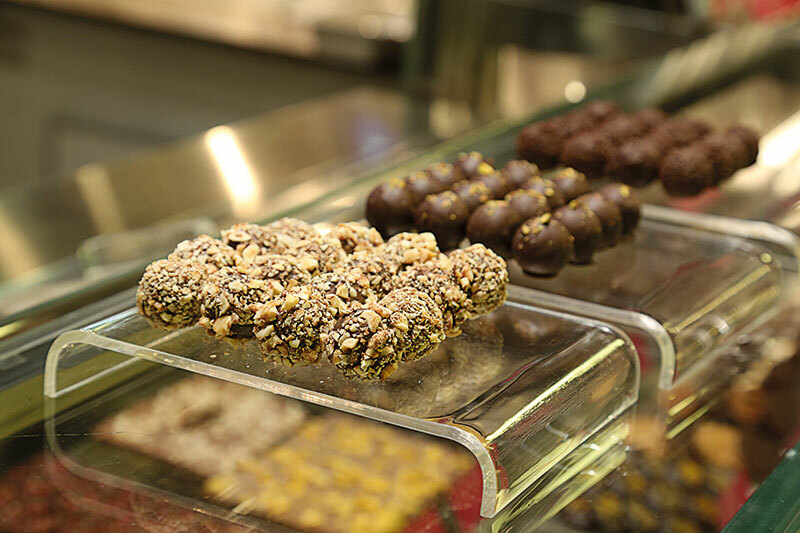 Obtained from the coastal town of Piraeus, Greece, the chocolate dragées that are available at Provenance are free of any artificial colouring and vegetable fats. A product that comes from a 65-year-old family business, each dragée captures the creativity and detailing of two generations of Greek craftsmanship.